Many think SEO is an arm of the dark arts, requiring in depth technical knowledge and coding expertise. But it’s actually not so hard at all. SEO is about optimising your content so as many people see it as possible. 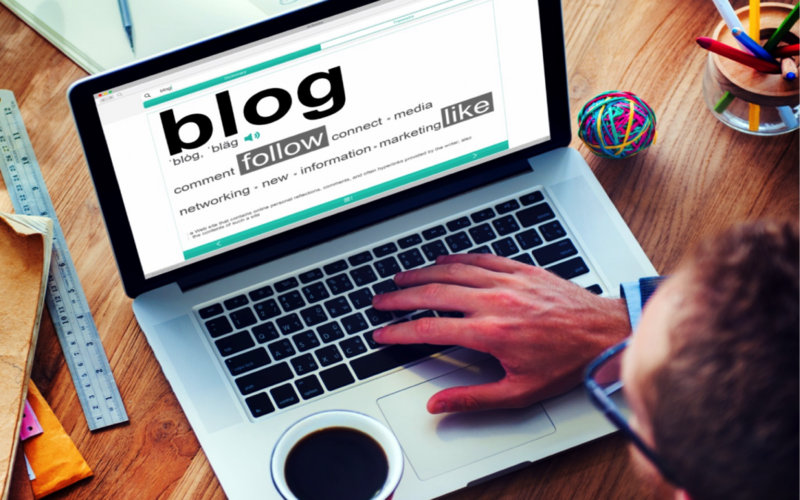 Blogs are such a great way to connect with your tribe – customers, raving fans, supporters, demographic, whoever they may be! – and some simple SEO tricks to include when structuring a blog post will get even more eyes on your content. First, let’s explain what long-tail keywords are. They are phrases that match the intent of your ideal customer or the person reading your content. So instead of searching for something generic such as kitchen renovation inspiration, they know exactly what they are looking for and may punch in something like rose gold kitchen pendant lights. If they’re not buying an item, they may be someone researching information or looking for advice and have found you by using long-tail keywords. So instead of a generic search like managing teenagers, they have entered something quite specific such as managing social media time for teenage girls. If they have found you by linking with your long-tail keywords, they’re more likely to read the whole post and seek more information from you. They are exactly the sort of traffic you want – visitors who convert! When you’re writing your blog, this strategy also allows you to keep the focus of the content you are sharing narrow enough to optimise for just one or two keywords. Plus, stuffing your blog post full of keywords hurts your SEO and more importantly, makes for a totally unengaging reader experience. So now you’ve got super specific about which 1-2 keywords you are going to use, structure your blog for SEO by placing them wisely within the post for maximum benefit. Pop the keywords in the headline or title of the post to give your post relevancy, ensuring you include your keyword within the first 60 characters of your headline, which is where Google cuts titles off on a Search Engine Results page. Even if you’ve got a super long headline, move that keyword up to the front of the title. It’s also a good case for having shorter, punchier headlines. Include your keywords in the sub-headings and the body of your blog post, but in a user-friendly way. Everyone is very savvy these days and can sniff out forced mentions of keywords for SEO a mile away. Keywords should be a focus when putting your blog post together, but not the ONLY thing you think about. You still need to provide solutions and interesting content for your readers. Keywords in URL’s are also popular with search engines. Remember, every blog post you create, creates its own URL which gives you a huge opportunity to optimise your visibility on every post you publish. Including keywords in meta descriptions in the back end of your website is also a simple way for Google and your audience to get clear on the subject matter of the content you are posting. 3. Is your blog mobile-friendly? The number of smart phone users is forecast to grow to around 2.5 billion people globally in 2019. You might want to make sure your blog is mobile-friendly, so you can get a piece of that action! And did you know Google prefers mobile-friendly websites and displays them first? Websites that use the concept of responsive design allow blog pages to have one URL instead of two (one for desktop and one for mobile) so that means you’re not splitting your audience between two URLs. They are all getting sent to the one place. When a potential visitor to your blog sees your content appear on a Search Engine Results Page, the Meta description is the content they see giving them the info on what the link is about. They’ll decide then and there (without even clicking through to your site yet) about whether your content and that blog post is for them or not. Include your long-tail keyword in the Meta description, make this explanation user friendly and keep it under 150 characters to maximise SEO results for your post. Images that enhance and reinforce the message in your blog content can also be optimised effectively. How? Search engines look for images with alt text (short for alternate text). It helps search engines understand what an image is about. Now if your blog post is about rose gold kitchen pendants and that’s your long-tail keyword phrase, be sure to include an image of a rose gold kitchen pendant and change the name of that picture’s file name to the same long-tail keyword phrase. It’s a simple, time-effective way to structure your blog for SEO that pays dividends. Referencing and linking to other content on your website or in blog posts you have written previously not only keeps visitors on your site, but it also helps these other pages rise through the ranks on search engines. You’re effectively giving these internal links some extra oxygen. There is a lot to SEO. If you use these simple tips when creating content for your website then you will be a long way in front of most of your competitors. Find out some other SEO tips here in The Ultimate Beginners Guide to SEO. Customer Relationship Management System: Why Should You Have One for Your Business?